Biography of War World II veteran Buck See, who fought alongside and against some of the most famous figures in World War II, from General George S. Patton to Field Marshall Hermann Goering. 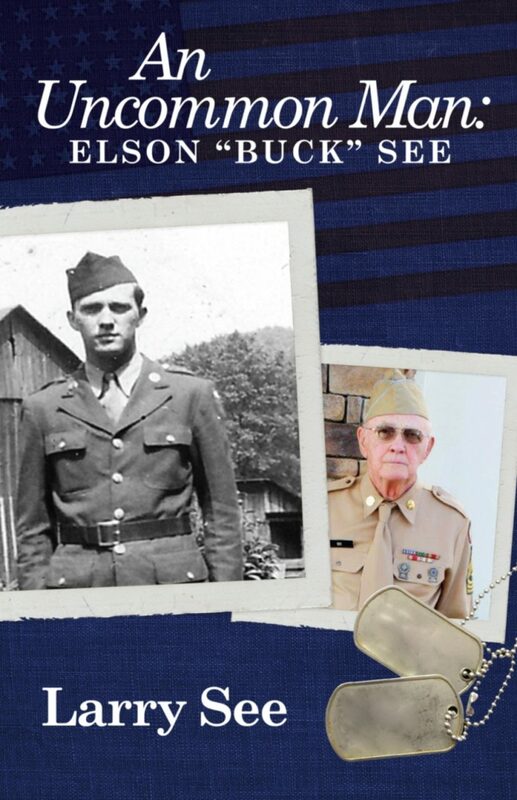 From humble beginnings on a small farm in West Virginia to the horror of the battlefields of World War II, Elson “Buck” See embarked on a journey that few men have ever traveled. The trials he experienced and the people he met along the way tell a story of tragedy and triumph that will appeal to past and future generations. Buck See faces grave danger while meeting and fighting alongside and against some of the most famous figures in World War II, from General George S. Patton to Field Marshall Hermann Goering. Through all the trials, Buck never forgets his humble roots. Born in the 1920s and raised through the Great Depression, his large country family survived through the sweat of their brow and faith in the Lord and each other. The lessons Buck learned in his childhood carried him through crippling illness, the strain of training, and the unspeakable carnage of war. This biography also covers a facet of the War that few books have explored. As part of the Army Combat Engineers, Buck spent nearly a year after the War as a member of the Allied Occupation Force that tried to help the Germans, who had been shooting at them just days before, rebuild their homes and lives that had been devastated by the War. Through his eyes, the reader will gain an entirely new perspective on the horrible effects of armed combat not only on the soldiers but also on the civilians who watched the War unfold outside their living room windows. The pitiful tale of the children and adults who are trying to piece their lives together again brings a new perspective on the worth and costs of war.